Sometimes, the best gifts can’t be bought in stores. Last month I received 2 priceless gifts from two influential women in my life. 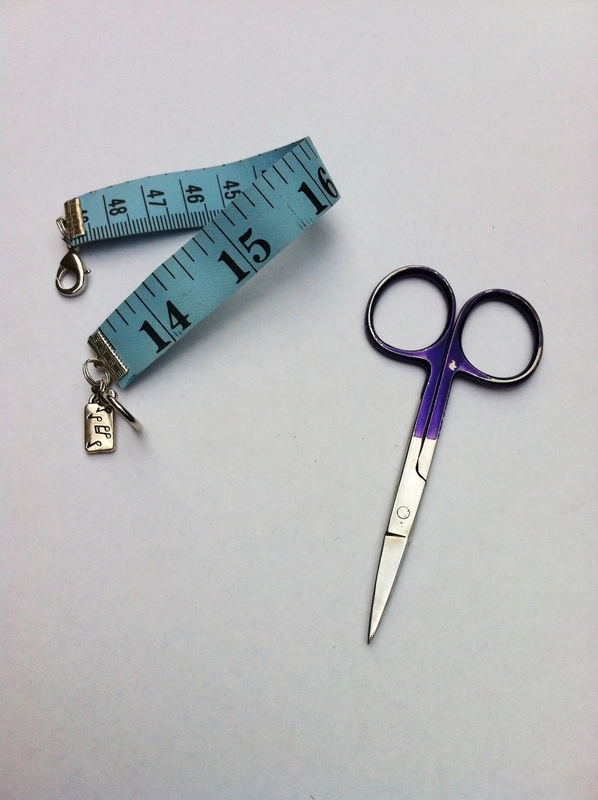 The first was from my mom… a pair of small scissors that once belonged to my grandmother. They were used daily for her crochet and needlework up until she passed a few years ago. No new fancy expensive pair of scissors can even begin to compare to this tiny metal pair containing a vault of history. Creating useful handmade items runs in my blood. My grandmother and mom have always sewn, crocheted, and crafted any and everything their hearts desired. Both were self-taught and created out of necessity. I am fortunate enough to have many blessings and can create as a hobby. Our goal is to keep these crafts alive and support all things handmade. The scissors fit perfectly in my crochet hook case and I use them with almost every project now. The second and also unexpected gift that same week came from my mother-in-law. She is also very crafty and enjoys spending her time making jewelry. She fashioned a bracelet for me using a measuring tape that belonged to my grandmother-in-law. I’ve been wanting a bracelet like this for sometime now and my mother-in-law must have heard me mention it. I will treasure these items as they mean more to me than anything money can buy.